The AICPA Peer Review Board has proposed changes to peer review standards that the board believes will eliminate inconsistencies and improve openness of reports for engagement reviews, the Journal of Accountancy reported. The proposal (link to http://www.aicpa.org/Research/ExposureDrafts/PeerReview/DownloadableDocuments/PR-EngRev-ExDraft.pdf) , outlined in an exposure draft, would change the impact to an engagement review report when more than one engagement is submitted for review; the same deficiency occurs on each of the engagements submitted for review; and no other deficiencies exist. Existing guidance under this scenario calls for a “pass with deficiencies” rating in the firm’s engagement review report. If the proposal is implemented, this scenario would result in a “fail” rating. The “pass with deficiencies” rating came about as the result of an exception created when new peer review standards took effect Jan. 1, 2009. At the time, members of the peer review community commented that a “fail” rating under this scenario was unfair to a firm that performs multiple engagements with the same deficiency and no others. Since then, after hearing concerns about inconsistencies in the existing guidance and considering the perspective of report users, the PRB is proposing to eliminate the exception. Anyone interested in submitting comments on the proposal can send an email to PR_expdraft@aicpa.org by July 5. If approved, the changes would take effect Sept. 1. Forty-three awards for marketing accomplishment were awarded this evening for accounting marketers recognized for achievement. The Association for Accounting Marketing annual award gala features awards in multiple categories: web sites, branding, multimedia and maverick marketing. Firm marketing professionals were recognized at the 25th annual Association for Accounting Marketing Summit, Take AAM and Engage, as a culmination of over two days of education sessions for over 400 attendees. 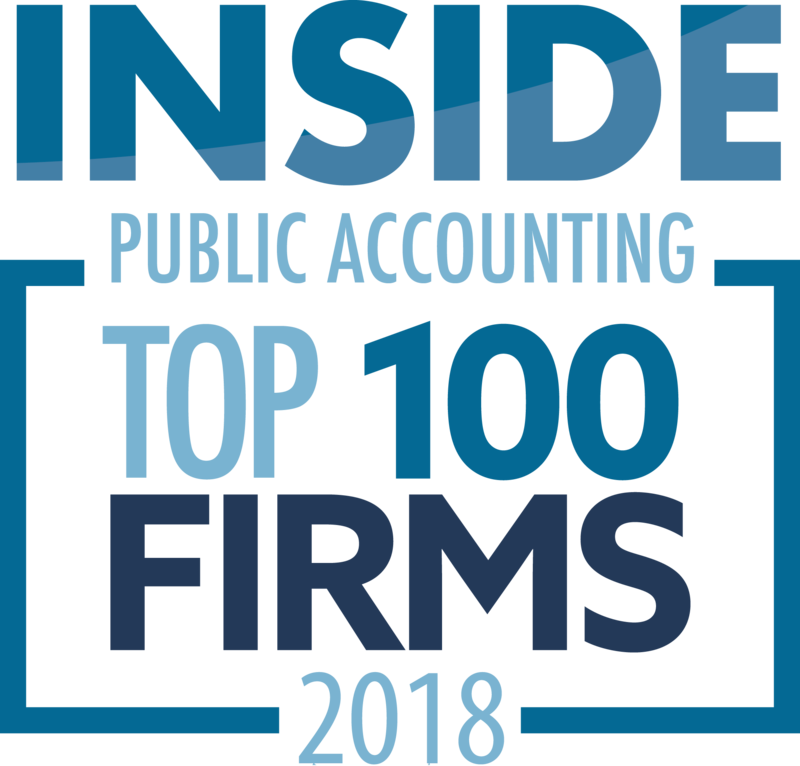 Announcements/Invitations, Herbein + Company, Inc.
Firms with $9.9 million or less in revenue, Hartmann, Blackmon & Kilgore P.C. Winning Proposals, Clark Nuber P.S. The Marketer of the Year designation goes to an experienced marketer producing extraordinary results. This year’s winner is a stellar performer, having made a major contribution to firm growth; creating, introducing and implementing an idea producing significant results. Randy Mowat, MNP LLP, in Calgary, AB Canada was chosen for Marketer of the Year for his high energy leadership, a visionary approach, and having the absolute support of his firm management. Mowat, nominated by one of his fellow partners ,is attributed with double digit growth in his firm Mowat was first marketing director, and is most proud of having built the firm’s first full service marketing department in 1997. 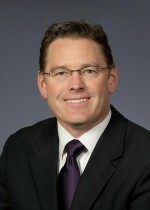 By establishing trust and delivering value, the department has evolved to a highly effective and strategic full service marketing team.Among Mowat’s most significant accomplishments is the development of a highly successful succession services business development campaign that generated over $7MM in revenue, and his nominator calls the results of the program “immense,” both internally and externally. 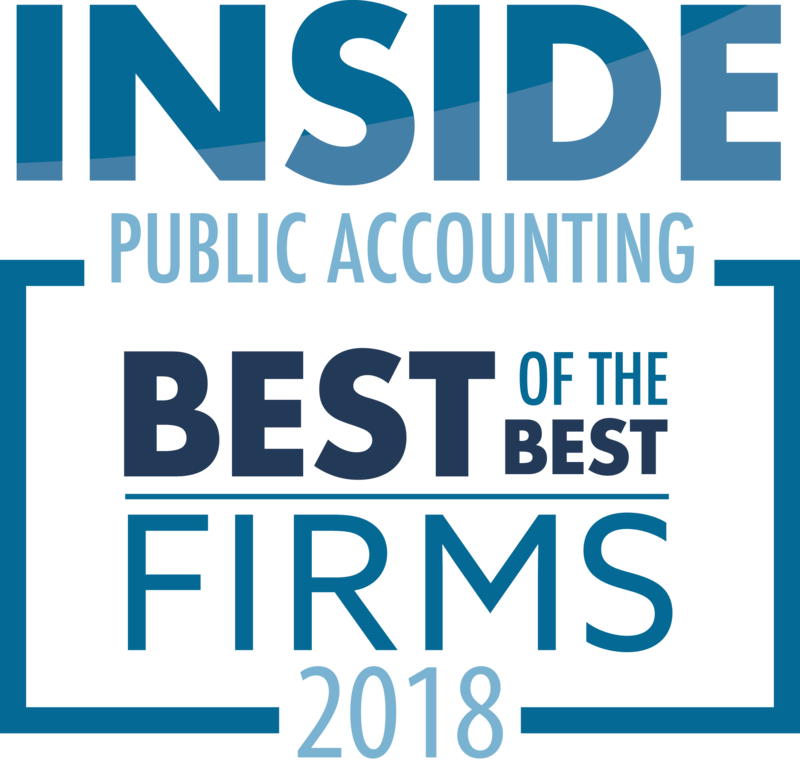 Awarded to the “Best of the Best” in the Accounting Marketing profession, the Hall of Fame award goes to recipients with ten years or more of service, and recognizes both outstanding accomplishments and leadership in the association. 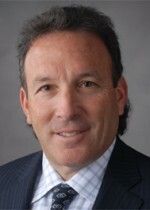 Tucek is the Marketing Director at Legacy Professionals LLP of Chicago , IL. Legacy Professionals LLP is a niche firm providing audit, accounting and tax services to nonprofit organizations, labor unions, and employee benefit plans, governmental, and other entities. Tucek is responsible for the firm’s corporate marketing and business development working with the partners and managers to develop new business for the firm. Tucek has been a member of AAM since 1998, serving as committee member and also as a member of the board. 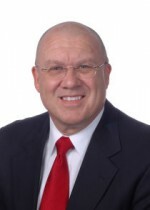 Tucek is a former board president for the association, and is viewed as an invaluable mentor in the accounting marketing profession. AAM recognizes working volunteers as the functional driving force in the association; and the Volunteer of the Year award recognizes dedication to AAM, accomplishments within the marketplace, and involvement. Volunteers are the force behind AAM and contribute far more than just their time. Ruszczsyk leads the AAM Atlanta and has contributed to driving increased participation and quality programming for regional participants. She has worked in the profession and, as an entrepreneur in her company, has provided services to marketers in the profession for more than 15 years. Demonstrating excellence in the field, the Rookie of the Year shows creativity and initiative with their firm. McWiggins provided valuable service by contributing time and energy to improve the quality of the firm’s marketing programs. 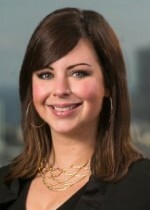 She was named 2014 Rookie of the Year by AAM for going the “extra mile” to contribute to the firm’s success within the first two years of her marketing role. 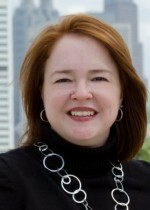 McWiggins joined Postlethwaite & Netterville (P&N) and the world of accounting marketing in June 2012. As P&N’s chief event planner and strategist, Lexi uses internal and external events as a tool to help our professionals reach their personal and business development goals. 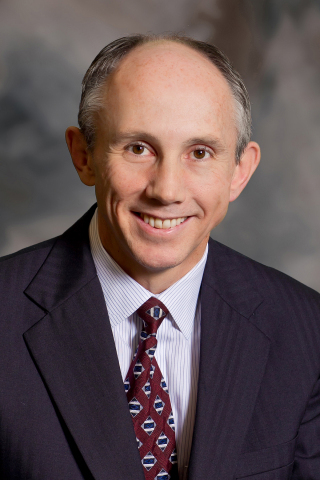 Rob Wheeler has been elected to succeed Dave Katri as President and CEO of Clark Nuber of Bellevue, Wash. (FY13 net revenue of $31 million) effective October 1, 2014. “This transition is the culmination of Clark Nuber’s CEO succession planning process and comes at a time of organizational strength and growth for the firm,” says Rob Fleming, Chairman of Clark Nuber’s management board. 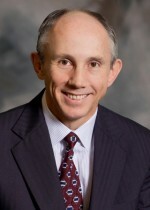 Wheeler has been with the firm for 29 years and has been a shareholder for 14 years. During his tenure as a shareholder, he has headed the firm’s tax department, which has grown significantly under his leadership. He has also served on the firm’s management board and has been very active in community and professional activities. “Rob understands the Clark Nuber culture and is deeply committed to the success of the firm and its employees,” adds Mr. Fleming. especially damaging. And the rise of web commerce and social media has exacerbated the friction between two C-suite leaders in particular—CMOs and CIOs. Rich Karlgaard explains why their “Mars vs. Venus” rivalry matters and how companies can bridge the divide. Behind closed doors, in the corner offices of companies throughout the nation, a heated C-suite battle rages on. On the surface it looks like a battle waged over the corporate budget—a tale as old as time—with both sides seeking to claim a bigger portion of the pie. But take a closer look at the classic fight between chief marketing officers (CMOs) and chief information officers (CIOs), urges Rich Karlgaard. When you do, you’ll see that the contention is actually about much more than just money. “The CMO-CIO divide is exacerbated by the rise of web commerce and social media,” says Karlgaard, author of the new book The Soft Edge: Where Great Companies Find Lasting Success (Jossey-Bass/A Wiley Imprint, 2014, ISBN: 978-1-118-82942-4, $28.00, www.richkarlgaard.com). “These new marketing channels mean CMOs command a growing share of their company’s investment in technology, and CIOs are none too happy about that. But still, it’s only part of the story. Actually, yes, says Karlgaard. Invest in your company’s “soft edge,” and while CMOs and CIOs may not start holding hands and singing Kumbayah, at least they will have the language to discuss their differences and the values to bridge them. First, what is the “soft edge”? To understand it, picture a triangle. Great strategy makes up the base. Masterful execution makes up one of the triangle’s two vertical sides. (Karlgaard calls this the “hard edge.”) It’s the third side of the triangle—the oft-neglected, misunderstood, and underfunded soft edge—that consumes Karlgaard’s book. “Most C-suites and shareholders speak the language of the hard edge: metrics, analytics, logistics, strategies, and a well-defined and easy-to-see ROI,” says Karlgaard. “But today’s turbulent marketplace has taken much of the bite out of the hard edge. What can be measured and quantified can also be analyzed and copied by the competition. Strive to understand each other’s challenges. (Soft Edge Pillar: TRUST) NetApp’s CMO, Julie Parrish, wisely empathizes with the company’s CIO, Cynthia Stoddard. 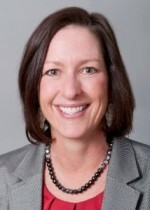 She’ll tell you straightaway that she thinks Stoddard has one of the toughest jobs at NetApp. Parrish recognizes that Stoddard faces multiple challenges including: adapting to the cloud while assuring adequate security; betting on which technology platforms to go with; serving all functions at the company, not just marketing; and always doing more with less. Hers is a rapidly changing world. Work together to ensure you’re mining the right data. (Soft Edge Pillar: SMARTS) To stay ahead of the curve, Parrish and Stoddard regularly meet to discuss trends in predictive analytics, sentiment analysis, and other valuable information. This requires a healthy CMO-CIO relationship. To stay smart, Parrish likes to put this question to their teams: What are the questions we should be asking? Don’t succumb to departmental tunnel vision. Keep the needs of the whole company in mind. (Soft Edge Pillar: SMARTS) This is an important reminder for any C-suite leader, but especially for CMOs and CIOs, who may feel the urge to dig in their heels for their own departments. 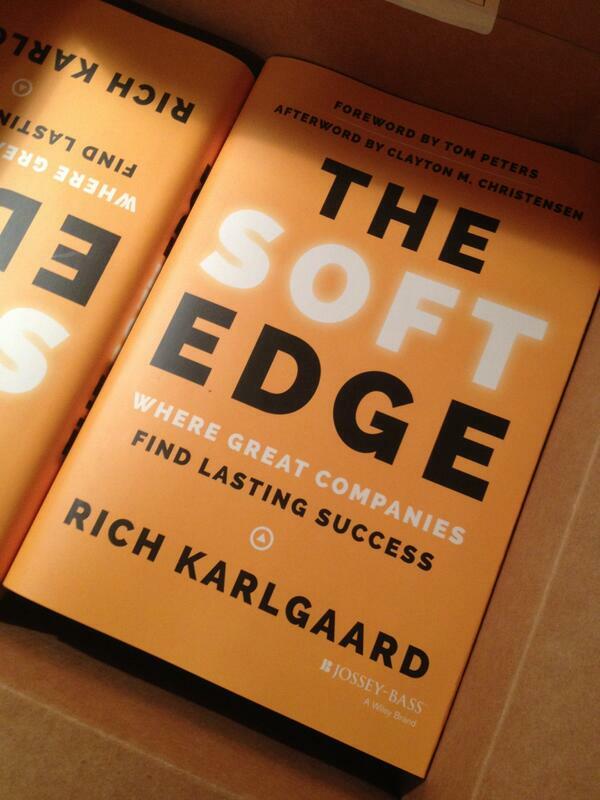 In The Soft Edge, Karlgaard tells of his conversations with Tony Fadell, CEO of Nest Labs. Fadell told Karlgaard about the importance of team meetings at Nest. Fadell brings everyone together—from user-experience people to management people to algorithms people—so that there are people there who can speak to every aspect of their product from design to marketing to user experience. Otherwise, Fadell says, the company’s thermostat algorithms might be written solely to satisfy the “code jockeys” at Nest. Be as transparent as possible. Invite scrutiny. (Soft Edge Pillar: TEAMWORK) At NetApp, both sides are open and honest about their cost structures. NetApp’s CMO Parrish established a foundation of good teamwork with CIO Stoddard when she admitted that marketing owned too many projects. “I raised my hand for an IT audit,” Parrish said. From that day, Stoddard knew Parrish wasn’t trying to build an empire. Don’t try to bury disagreement. (Soft Edge Pillar: TASTE) In a soft edge excellent company, CMOs teach CIOs how marketing platforms are crafted and how to fine-tune messages for any given audiences. CIOs show where complexity will slow down deployment, and therefore suggest areas to simplify the platform for maximum rapid deployment. Sometimes there is disagreement. Don’t bury it. Instead, use it to push everyone forward as you keep your eye on the prize. The truth is, taste evolves through disagreement. When opinions are shared, problems hashed out, arguments heard, the best possible products are born—products that look great and work great and that are somehow so compelling to customers that they must buy them. “Recall how Nest Labs CEO Tony Fadell likes to put analytics people and marketing people in the same room to discuss which algorithms will create customer enchantment and loyalty in Nest’s products,” says Karlgaard. “Rest assured these meetings aren’t spent with everyone in agreement, congratulating each other on their perfect ideas. There’s disagreement, maybe even arguing. And what Fadell, and Parrish, and Stoddard, and other soft edge leaders understand is that that’s okay. Sometimes it’s just better to argue it out. Let your story drive your behavior (and solve your disagreements). (Soft Edge Pillar: STORY) NetApp keeps really, really good company. (Excuse the pun!) Along with Google, Singapore Airlines, Starbucks, and very few others, it makes two annual lists: the world’s best places to work and the world’s most innovative companies. It takes huge pride in making both lists, and it should. But aside from pride, the real value of making both lists is that it creates a consistent story for employees, suppliers, and customers. “Julie Parrish and Cynthia Stoddard realized long ago that greater things would happen for NetApp if they put their own departmental loyalties aside and worked together,” says Karlgaard. “They realized this would help them more easily respond to the challenges and changes constantly being thrown at NetApp. And it would let them optimize both departments’ functions, helping the company grow and innovate—one of the only roads to corporate survival these days. The confidence to do all of that comes from NetApp’s strong soft edge. Success in business has traditionally meant having a strategy and excelling at the hard skills. Controlling costs. Boosting speed. Effectively managing the supply chain. Superior number-crunching and analytics. Most of today’s CEOs, CFOs, chief operating officers, boards of directors, and shareholders speak the language of this hard edge. It’s their comfort zone: numbers, metrics, analytics, logistics, strategies, and a well-defined and easy-to-see ROI. PILLAR 1: Trust. When it comes to trust, you must ask yourself two questions: 1) Does your external market, your customers and shareholders, trust you? And 2) Does your internal market, your employees and suppliers, trust you? Customers must trust that your product or service is authentic and robust enough to withstand the immediacy of today’s media. And when things go wrong, they must believe you’ll do the right thing. Internally, trust underlies effective working relationships. It improves group effectiveness and organizational performance. Maybe most importantly, trust underpins innovation by facilitating learning and experimentation. Trust may seem like a blurry concept in terms of ROI. But research and market results have proven that deep trust creates measurable real-world returns. PILLAR 2: Smarts. Today, “smarts” is much more than what we conventionally think of as “intelligence.” In the age of Google, true smartness means the ability to see and recognize patterns—and constitutes the difference between forecasting a likely future and simply following the conventional wisdom. Of course, we know that unlocking knowledge and supporting learning are pivotal to success. But there’s another dimension to being smart: one that relates to a few old-fashioned sounding concepts like grit, perseverance, and hard work. It also requires an ability to learn from others and from our own mistakes. PILLAR 3: Teamwork. How does FedEx’s Fred Smith manage 290,000 worldwide employees, who move more than 3 trillion packages in a year? What balance of central authority and peripheral autonomy works in such a logistically complex organization? Or why, in an entirely different industry, did German software giant SAP blow up the management framework for its 20,000-person development department and replace it with small teams? Since collaboration and innovation are a must in the global economy, effective teamwork is vital. Yes, we humans are imperfect. We have different needs, roles, and perspectives that we bring to every interaction or team effort. But when we work together, we make each other better. We increase accountability, passion, and effort. We facilitate learning and catalyze innovation. For example, just consider that team-oriented selling and sales commissions outperform individually focused sales teams by 30 percent. Clever product design and integration are proxies for intelligence—they make customers feel smart. If your product or service is seen as a badge of intelligence, you’re far along the road to lasting success. But taste is much more than just good design. It’s a universal sensibility, an emotional engagement, that appeals to the deepest part of ourselves. It’s wonderment and desire, power and control. And we see it in those magical products that not only show us at our best, but also make us feel and perform even better. PILLAR 5: Story. In a world where outsiders can weigh in and have a greater voice on your brand, the ability to create an effective narrative is more important than ever. Used both internally and externally, stories create purpose and build brand. Purpose may be a soft attribute, but it’s what gives you steel in your spine, especially when cutting corners might temporarily boost the bottom line and delight shareholders. Externally, stories are used to launch new brands and enhance the image of existing brands—a task made more difficult by today’s many new forms of communication. Make no mistake, the hard edge does matter. Mastering it is “table stakes”—necessary to compete but not sufficient to win. Still, companies that can’t find the right balance between their hard and soft edges—those that neglect and underestimate the five pillars—will ultimately fall to those that can. 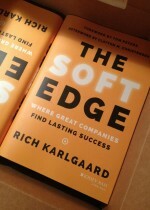 What many left-brained business titans have viewed as the realm of artists, idealists, hippies, poets, shrinks, and do-gooders, the soft edge is where innovation happens. It’s where brands are built. It’s how companies become agile. It’s where loyalty, passion, and commitment are born. It’s how today’s companies can differentiate themselves from the competition. McDirmid, Mikkelsen & Secrest P.S. (MMS) of Spokane, Wash., will be joining Fargo, N.D.-based Eide Bailly (FY13 net revenue of $171.2 million) on June 16. This union will bring Eide Bailly’s total staff to 1,350, including 202 partners. New York-based WeiserMazars LLP (FY12 net revenue of $132.2 million) announced the completion of its merger with ICS Consulting Partners (ICS), a boutique internal audit, regulatory compliance and credit risk management consulting firm catering to the banking industry. ICS’ co-founders, John White and John Palmer, have joined as principals to lead the banking internal audit practice and are accompanied nationally by their ICS professional team. “They significantly enhance and expand our bank consulting capabilities, providing our clients with the most comprehensive solutions available in an ever-changing regulatory climate and positioning us for further growth,” says WeiserMazars MP Douglas Phillip. ICS creates, implements and maintains customized internal audit, regulatory compliance, and credit risk management programs for clients that range from large financial institutions to community banks.